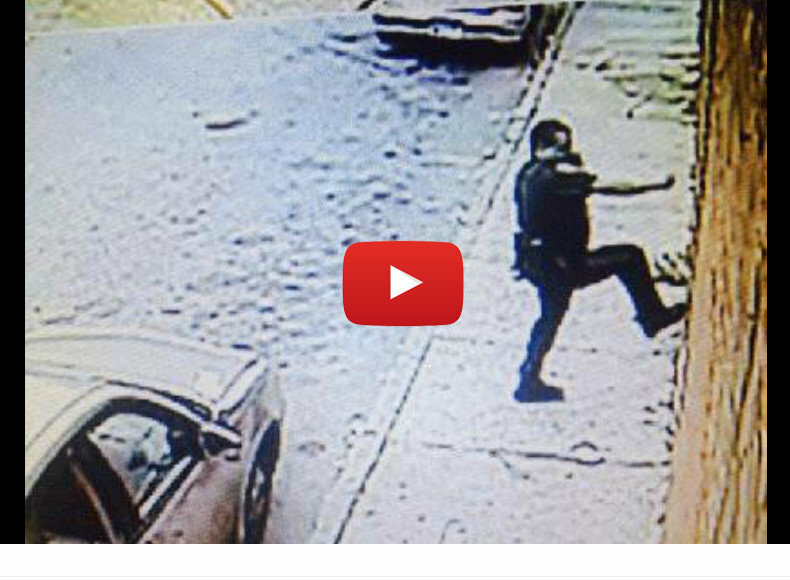 Video has recently surfaced showing Baltimore City Police Officer Gualberto Diaz breaking down the door of a Brighton Street apartment, just before he allegedly assaulted a number of the occupants inside, while pointing his gun and making death threats. While these are the same actions that Diaz carries out in the line of duty every single day, this intrusion was not done under the color of law. Diaz showed up to the Brighton Street Residence in his police car, and in full uniform, to confront his estranged wife and her new boyfriend on September 29 around 9:30 a.m. Diaz was reportedly on duty at the time of the attack. Desperate to get inside, Diaz kicked in the door like he would during a drug raid, and entered the home with his gun drawn, where he found the couple in bed together. According to police, Diaz then grabbed his estranged wife by the hair and threw her to the ground, kicking and punching her multiple times. Next, Diaz pointed his weapon at boyfriend Ajlan Abdulla, and threatened to kill both him and the wife. Ajlan ran through the house and jumped through a closed window to escape, sustaining major cuts and injuries from the fall and the broken glass. Diaz chased Abdulla through the house, and when he could not find him, he grabbed Abdulla’s nephew and pointed a gun to his head, asking where he had gone. The nephew took Diaz to the broken window, and Diaz left the house in a rage. After leaving the house, officer Diaz and his disaffected wife got in their own cars and drove in separate directions after exchanging a few unpleasant words. Immediately after the incident, both of the victims went to the hospital and reported the assault. The breaking and entering portion of the attack was caught on a nearby security camera, and both victims were treated from injuries related to the assault. 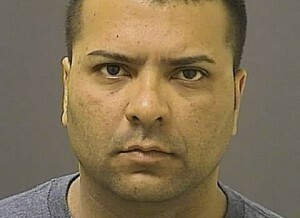 Surprisingly, the very next day officer Diaz was arrested without bond and suspended from the police force without pay.